How’s your evening so far? Well the atmosphere is cool, the music’s just right, the conversation is flowing and the refreshments are too. Happy days for sure! But hold on there now, is there not something missing? Great party food is what we’re talking about and as one of the premiere party caterers in Glasgow and the West of Scotland, that’s exactly where we at Millar Catering get our invite. We were absolutely delighted the canapés and drinks and service provided by Millar Catering. Our guests were enchanted, too. Hence it added a most substantial part to our house warming party, especially with the dreadful weather that evening. Jane, Tony and the staff were very friendly and efficient and the canapés chef operated magically. We will certainly get back to you for our next bigger celebration! Beautiful handmade canapés to delight the most discerning of palates. Delicious hand carved roast Scotch beef, dry cured Loch Duart smoked salmon or sumptuous seasonal salads on our Fork Buffet Menus. Mouthwatering chicken and chorizo skewers or marinated olives on our Finger Buffet Menus. Hot Buffet Menus packed full of imagination and flavour – think Goan curry with crayfish or our aromatic Moroccan chickpea and vegetable tagine. 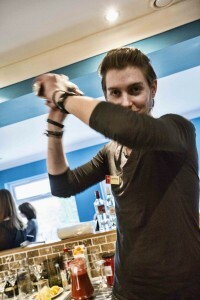 Creative cocktails shaken & stirred with flair by our resident mixologists. 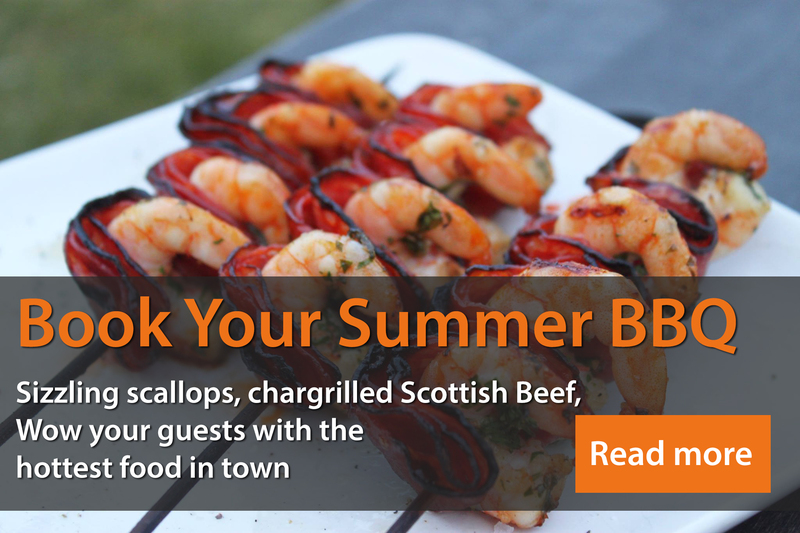 Sizzling sirloins or sensational sea bream on our great new BBQ Menus (PDF). We’re sure we have the perfect buffet menu to impress your guests and add a pinch of pizazz to proceedings. We can supply the party essentials from drinks service staff and glassware to furniture and linen to ensure your party is a smooth running, stress free celebration that you can enjoy as much as your guests. View our sample Party Menus (PDF). Celebrations are the highlight of everyone’s social diary – birthday, house warming, anniversary, graduation, retirement or just because we can! Call us on 0141 357 5408 or fill in our online enquiry form to start your party and let the fun begin!